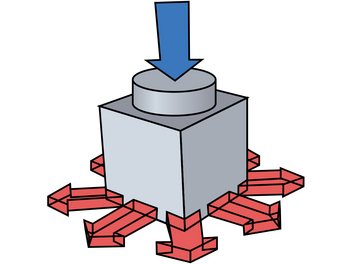 Moves heat down from the highest part of the building and distributes it at bird level. 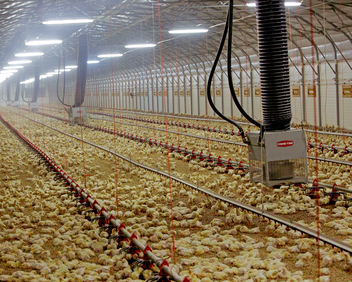 Improves litter condition and eliminates stir fans. Uniform temperatures throughout the house encourage more even bird distribution. 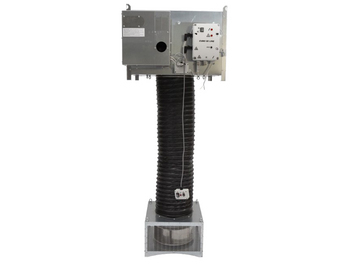 Provides destratification, heat recovery and vertical mixing. 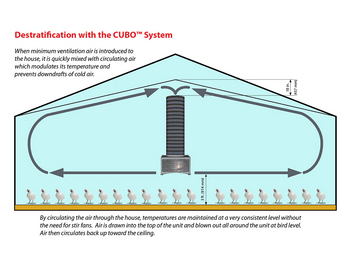 Air circulates 360 degrees around CUBO® Unit and travels quickly all through the house. Results in more uniform temperatures throughout the house while keeping litter drier and reducing moisture and condensation. 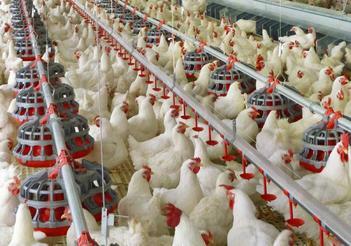 Temperature uniformity facilitates whole house brooding, if desired. Provides destratification combined with economical gas heat. 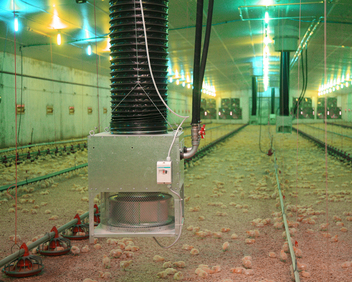 Provides low-pressure gas heat with no visible flame in the poultry house. An insulating air chamber keeps the exterior of the heater away from burner so outside of CUBO® Unit stays warm rather than hot. 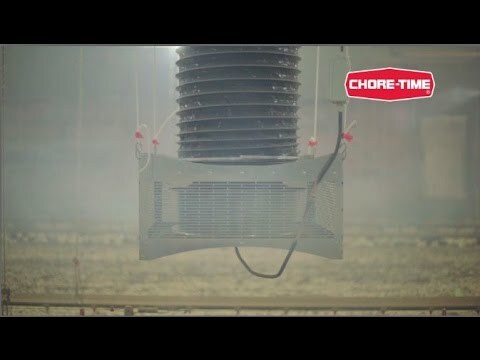 Unit is designed for simple cleaning using water or air. Provides destratification with heat from water heated outside the house. 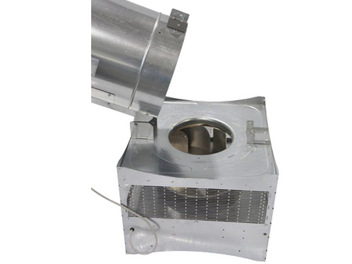 Eliminates in-house combustion resulting in less minimum ventilation run time. 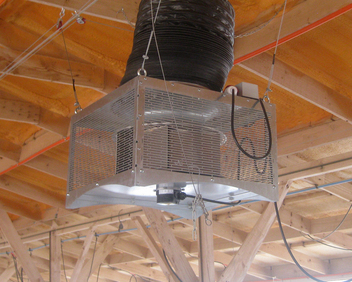 Reduces energy costs because no cold air needs to be brought into the house for combustion. 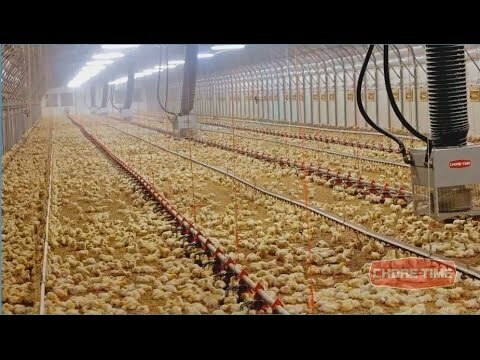 Poultry producer can generate hot water for the unit in a conventional manner with LP or natural gas boilers, or consider using eco-friendly biomass burners, wood burners, litter burners and so forth. 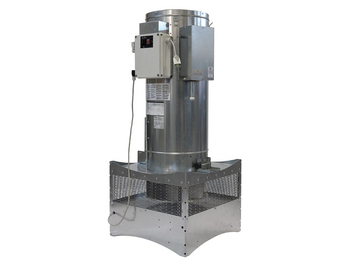 Delivers outstanding air mixing and heat distribution. 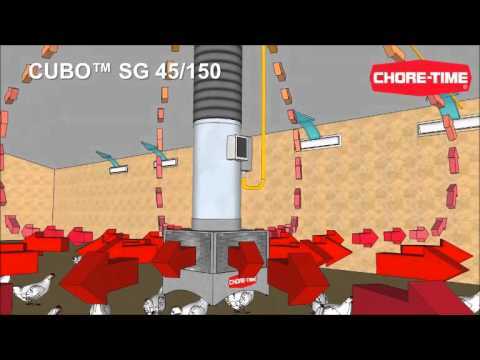 Outside air is drawn into the unit for combustion and exhausted back outside, reducing the amount of minimum ventilation run time. No carbon dioxide is introduced to the house through combustion.